At the same time, architect, writer, drawer, painter, sculptor and graphic designer, Ángel Luis Tendero has become one of the most important architects on the international scene, supported by his exceptional presence on Facebook. Just after graduating from ETSAM (Escuela técnica superior de arquitectura de Madrid), Ángel Luis Tendero (Madrid 1974) worked with Riofisa, a promoter of shopping centers, instead of starting with small projects, like most of the other young architects. 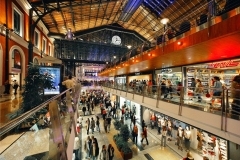 During this activity, he designed for instance, the Principe Pio center, in the historical heart of Madrid, as well as the “El Muelle center” in the Canary Islands, among other important big malls in Spain. Tired of these projects, without any personal creativity, he started working with Javier de Anton Freile and opened the C2 arquitectura office. 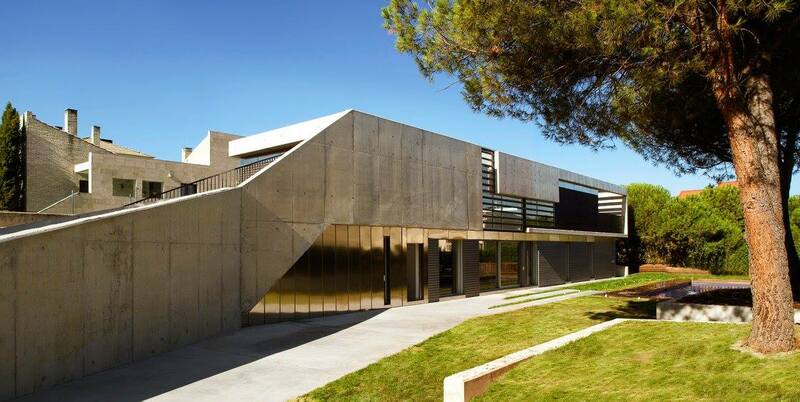 From 2004 to 2008, they both undertook numerous projects, such as the Cadena Visual offices, a sports center and an Auditorium in Zamora, some lofts and many renovations. 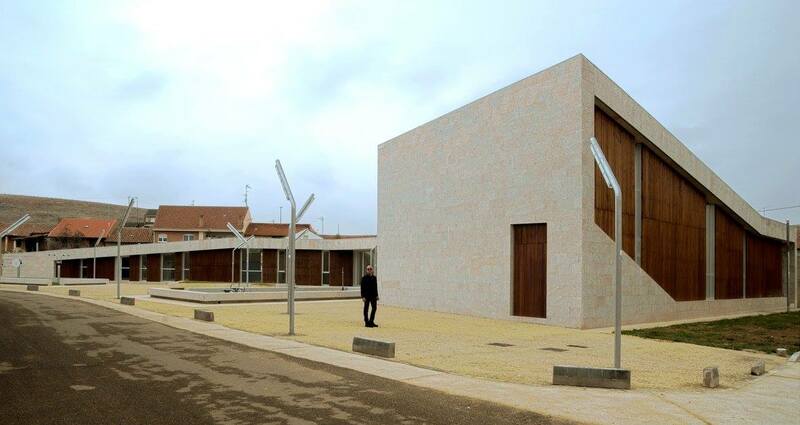 The Camarzana de Tera Auditorium (Zamora) is set up in a way to let the horizontal orientation prevail. A progressive change takes place to reach the maximal height at the extremity where the great hall is situated. The project Optimil Offices (Castellon de la Plana) designed with CSO Arquitectura arises from the manipulation of a continuous surface which by means of two operations, cutting and folding, resolve the entire program. Without jumps or breaks in its continuity, it wraps playfully around the local topography. The internal spaces are diaphanous and interconnected. It is an object susceptible to being expanded or reduced without marring the whole. 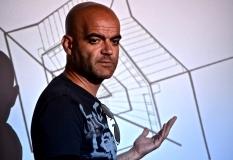 In 2008, he created ALT Arquitectura, with his name’s initials. Rapidly, many projects followed. 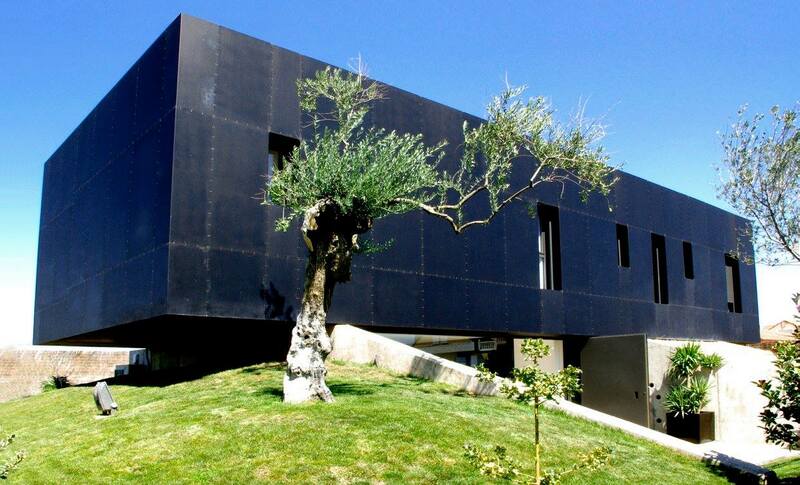 The casa Martin in Madrid, his first important work created with absolute conceptual liberty is seen as an enigmatic monolith laid on the land. It’s a black box, which absorbs the light with a geometry strictly required by the internal function. The Casa Roncero also situated in Madrid is composed of overlapping spatial concepts and covered with a great glass light well. 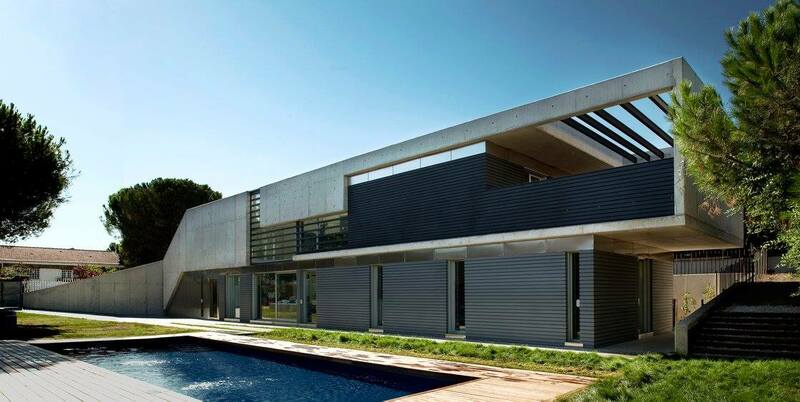 This expressive house runs on a narrow horizontal plan to enable a maximum of landscaped ground. 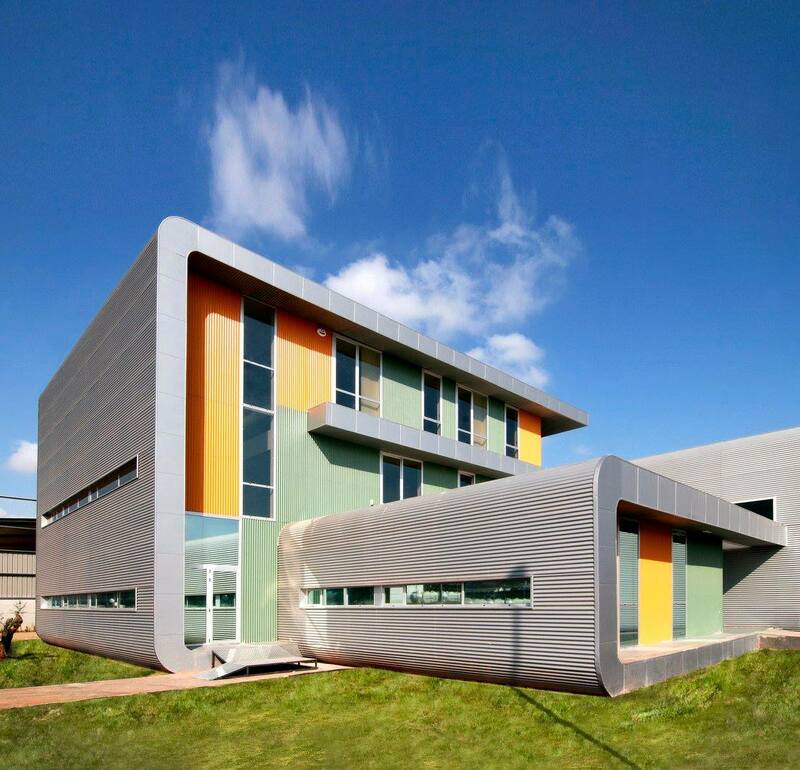 A great concrete volume rises weightless. 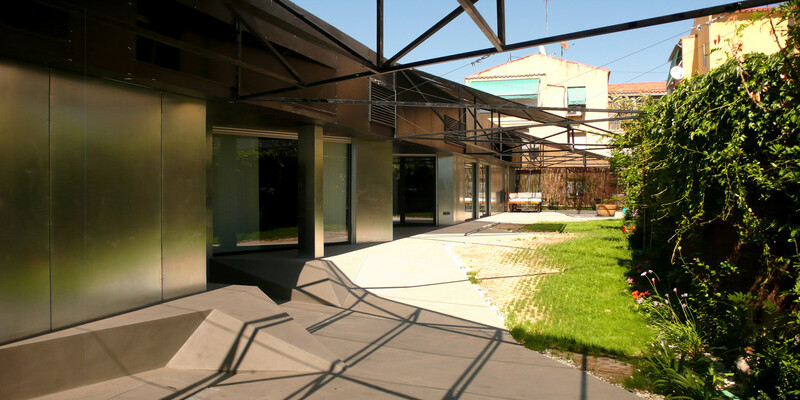 Nature stays very present and reflects in the aluminium profiled glazed windows, underlining the cantilever structure. For Tendero, architecture must before all procure emotion. He regrets the intellectualized architecture, which no one understands a part from its designer. “What people generally want is color, light, scents, shades, wind, breeze.” The intuition, knowledge and environmental analysis are converted into a powerful idea. Promoting a space constructivist approach, he always tries to connect architecture with natural materials, like wood, steel or glass, avoiding composite materials, plastics and all materials imitating others. His work concentrates on creation and project development in which the concept is materialized without losing his soul. The interaction with the physical environment creates architecture. With Bernardo Cumins Nogueira, his right-arm, he seeks to maximize the available resources, whilst costs reduction and execution speed are at the center of the projects. His concerns on preservation, renewal, city’s expansion and his refusal of work without architectural value, badly conceived or badly executed, are essential values. 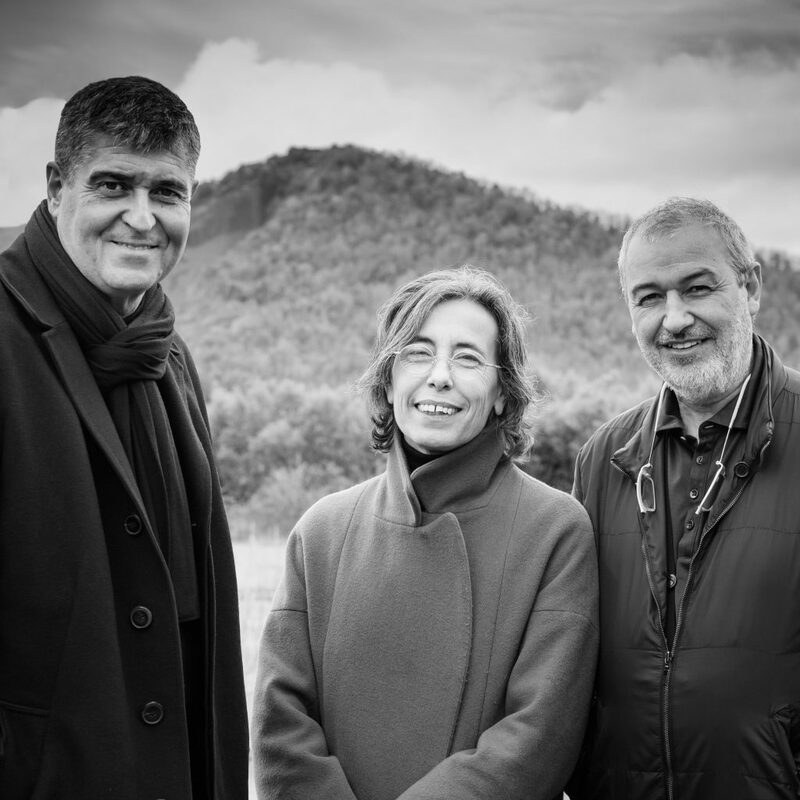 “We are an architectural office trying, by its work, to spread a message of hope, recuperating the lost values such as the social responsibility of the architect, the key role as economic agent for resource efficient management and the reconciliation of architecture with everyone.” That is ALT Arquitectura’s approach. 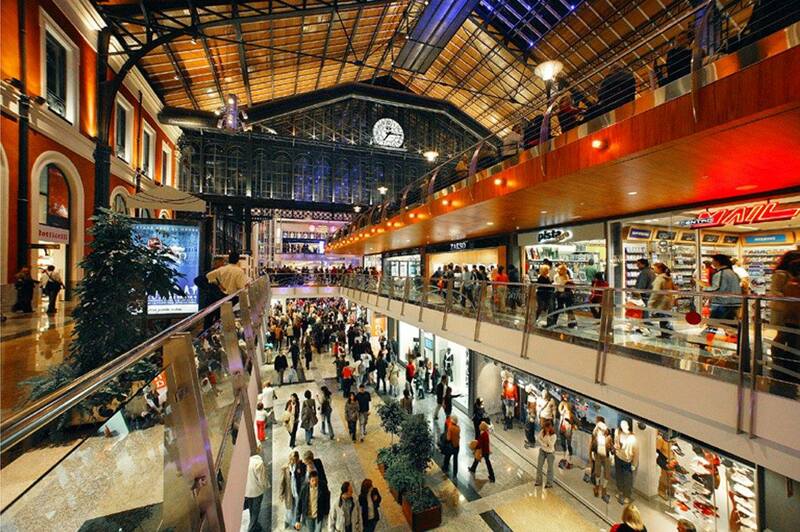 Having the necessary staff to develop all size projects, the office is presently working on the Canalejas shopping center in the heart of Madrid, after winning an international competition, as well as on other important projects outside of Spain. The objective is to realize each one with a global approach guaranteeing their quality. The important question is to know how to diffuse these values. Probably with the Comic album. ‘Alt Comic Book, una aproximación a la arquitectura’, which presents a personal vision of space and a way to observe our environment, in an easy accessible language. Same approach on his Facebook account where he has more than 1,2 million followers. A real media attraction! Thanks to this success on Internet, principally in Mexico and South America, he organizes workshops in the universities with many famous architects. Supported in this amazing success, Ángel Luis Tendero underlines the present mismatch between society and architecture, when trying to transmit ideas in a simple way.